Sound better, stomp less, play more! Voodoo Lab offers some of the highest quality switching solutions available. From simple to elaborate, Voodoo Lab is the best! 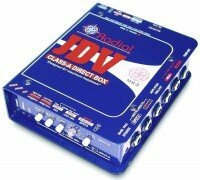 We have several Radial items in stock at closeout prices. 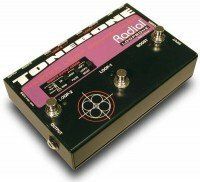 We have several Tonebone items in stock at closeout prices. Tonebone offers some great switching pedals for your arsenal of tone tools. This impressive line of pedals includes the amp selecting Switchbone, the amp head switching Headbone for valve-tube or solid state heads, an instrument switching/controller Bassbone, the Cabbone cabinet switcher and the Loopbone pedal effects loop controller. All these pedals do much more than the name implies. Great sound is delivered with this innovative line of pedals.